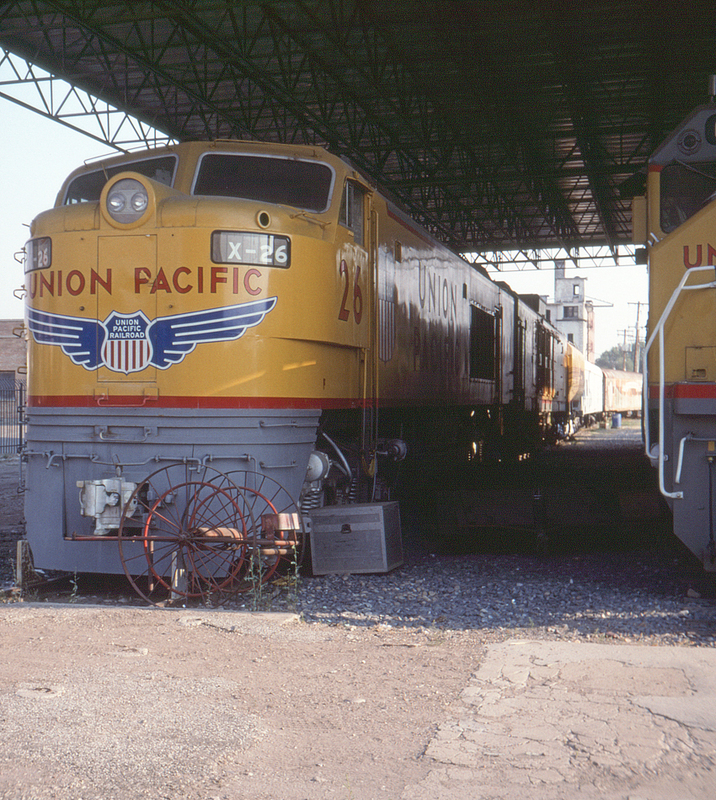 Also found in the Utah State Railroad Museum's collection at Ogden, Utah's Union Station is Union Pacific gas turbine-electric (GTEL) no. X-26, one of only two of the third generation of these units preserved. They were also known as "Big Blows" due to the deafening roar they generated at full power. The last of the GTELs were retired in 1970.